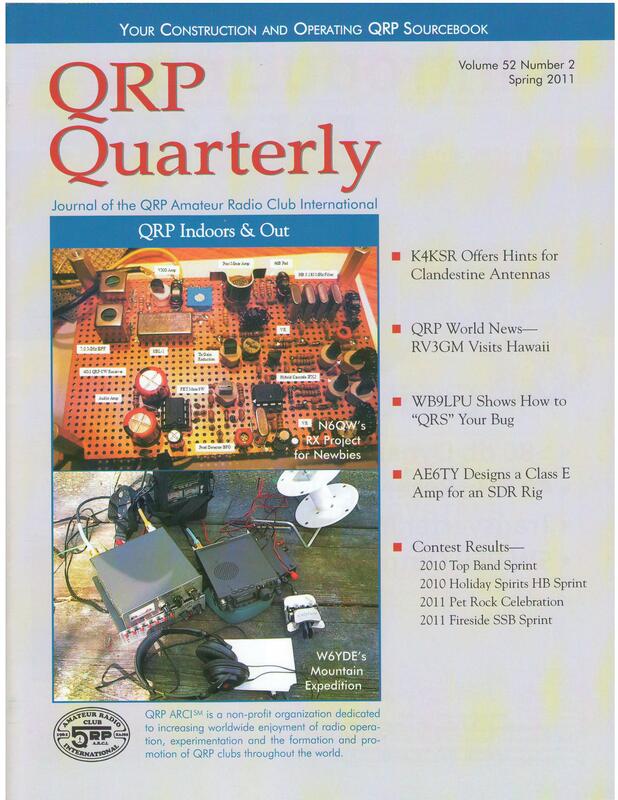 Homebrew Construction of SSB & CW Radios, Linear Amplifiers, Micro Controller Applications. Continuously Licensed since 1959 with former call signs: W6JFR, K3IXU, KM6DD & KM6BI (Midway Islands) , and W7FFL. I was issued the callsign N6QW in 2009. GQRP Member #10689, Extra Class since 1977. See my station (K3IXU) in 1960 by clicking HERE. See N6QW's station by clicking HERE. Dual Gate MOSFET Direct Conversion Receiver Part !